Do you experience dropped calls or choppy, incoherent conversations on your Sprint cell phone within your home/office or in car/truck? Sprint cellphone coverage is very good - However, housing materials such as concrete, metal, low emissivity or tinted glass windows, etc. block cellular signals and prevent good mobile reception indoors in homes/offices and outdoors in cars/trucks. Signal Boosters for Sprint & Installation by Certified Installers. Signal boosters for Sprint (also listed below) boost reception for all Sprint phones. 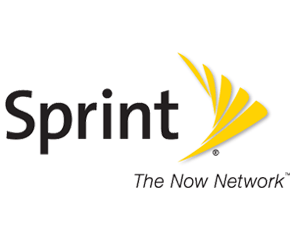 Strengthened Sprint cellular signals reduce dropped calls, speed Internet. Boost reception at home or in car after Sprint service booster installation. Sprint 3G & 4G Frequencies and Bands. 800 MHz ESMR, Band 10 (CDMA/ 1xAdvanced). 1900 MHz PCS, Band 1 (1xRTT/ 1xAdvanced/ EVDO/ eHRPD). 800 MHz ESMR, Band 26 (LTE). 2.5 GHz BRS/ EBS, Band 41 (TD-LTE/ LTE Advanced). For areas over 250k sq. ft., we suggest Sprint Small Cell. For areas over 500k sq. ft., we recommend Sprint DAS.